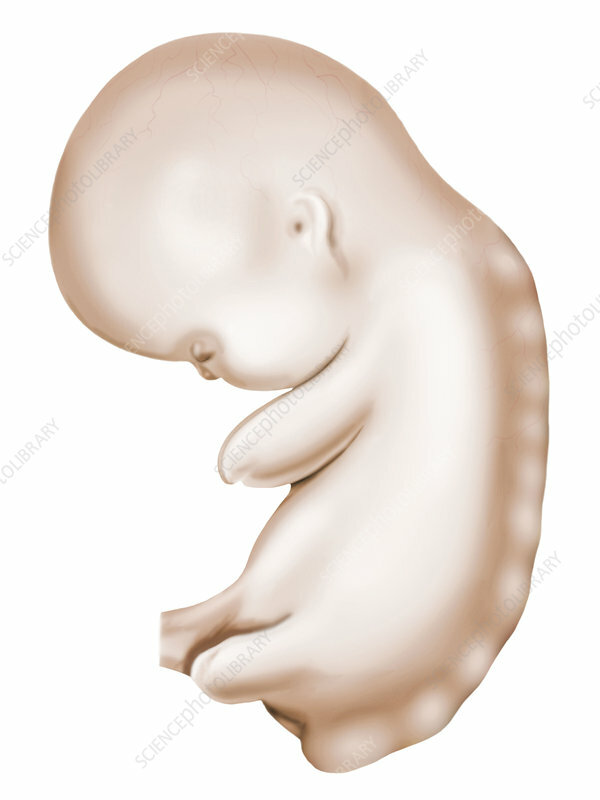 Illustration of the embryo. Embryonic Period, Second month. Transition from embryo to foetus.